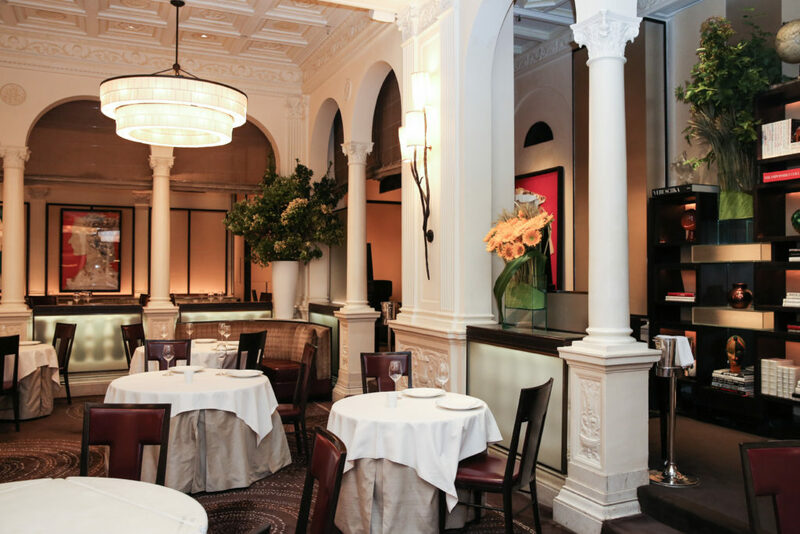 On Manhattan’s Upper East Side is the modern French restaurant Daniel, operated by renowned chef Daniel Boulud. It bears just about every marker of excellence imaginable: multiple Michelin stars, one of Zagat’s top five restaurants in all New York, one of only five restaurants to earn four stars from The New York Times, the list goes on. As does the list for Daniel’s namesake. Chef Boulud has a James Beard Award for “Outstanding Chef” to go along with another one for “Outstanding Restauranteur.” He’s penned nine cookbooks and currently oversees 12 restaurants around the world. By any measure, Daniel (the restaurant, although the proprietor too) is a culinary juggernaut. Such a lauded vehicle needs a worthy driver at the helm, and at Daniel it has one in Head Fromager Pascal Vittu. 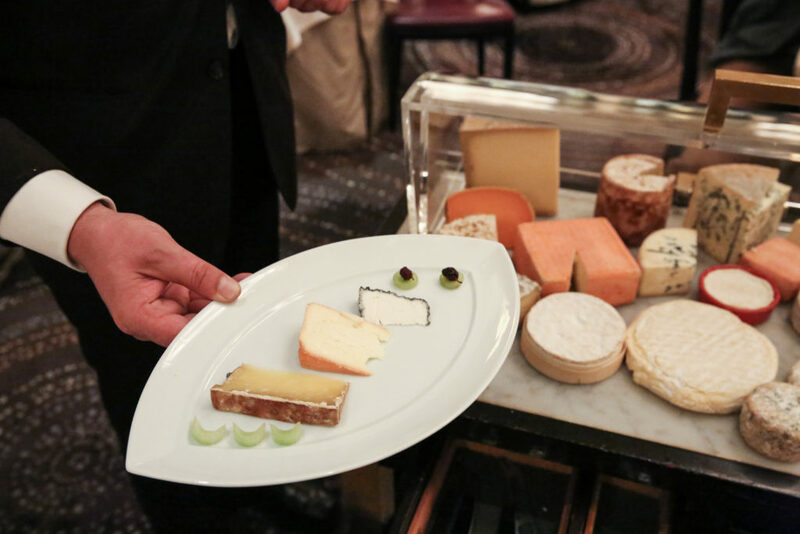 A few weeks ago, we visited Pascal at the restaurant to talk about the art of cheese service. He gave us a few pointers on how to translate what he does at the restaurant to an in-home setting, which we shared through Great Taste at Murray’s. He also provided us with the recipes for pickled mulberries and an apricot terrine, two of his go-to cheese pairings, which can be found on the cheese service Great Taste page. Daniel is currently celebrating its 25th year of service, and Pascal has been heading the restaurant’s cheese program from 22 of them. A French native, he earned his degree in restaurant hospitality before working in some of the foremost French restaurants—not only in France, but in Switzerland and the UK too. From this, Pascal developed an expertise in presenting French cuisine to non-French diners in a way that doesn’t sacrifice the integrity of the tradition. Chef Boulud then asked him to join the team at Daniel, where he’s been presiding over the cheese program since May of 1996. For Pascal, cheese has a deeply nostalgic pull. Growing up he rode his bike to school, and he stored his bike in a vegetable closet. 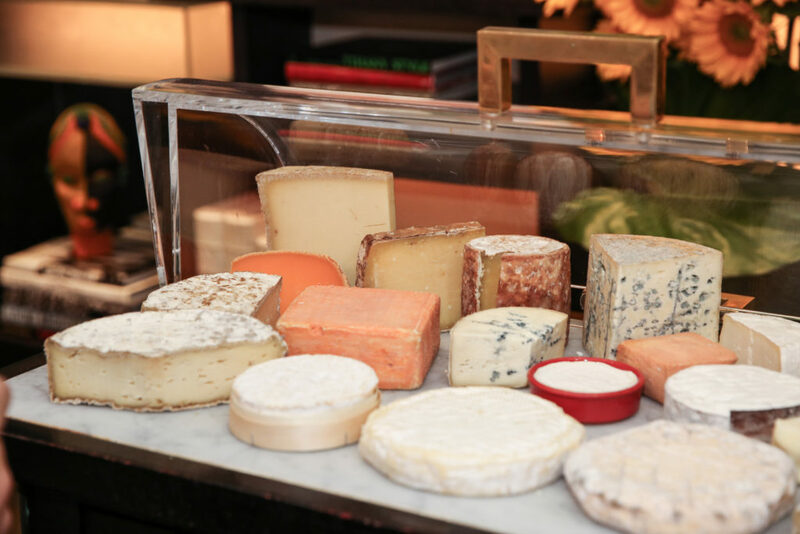 When he began his cheese education during his hospitality studies, the aromas of that closet were present in the products he was working with. The French writer Marcel Proust observed that smell is the sense most strongly tied to memory, and a flood of childhood remembrances washed over Pascal as he began studying cheese. From then on, he says, he knew exactly what he wanted to do with his life. 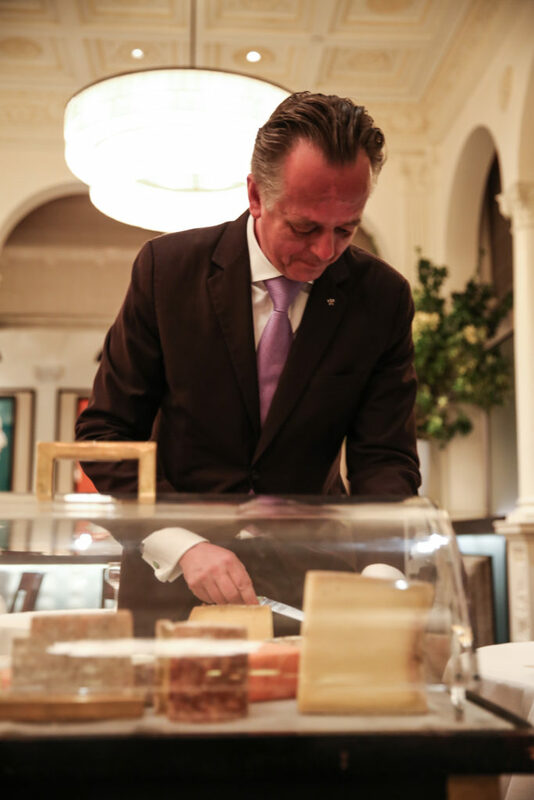 Every evening, Pascal’s goal is to share the terroir of France with his diners, and this means selecting the best French cheeses, keeping them in the best condition, and presenting them at their peak ripeness. 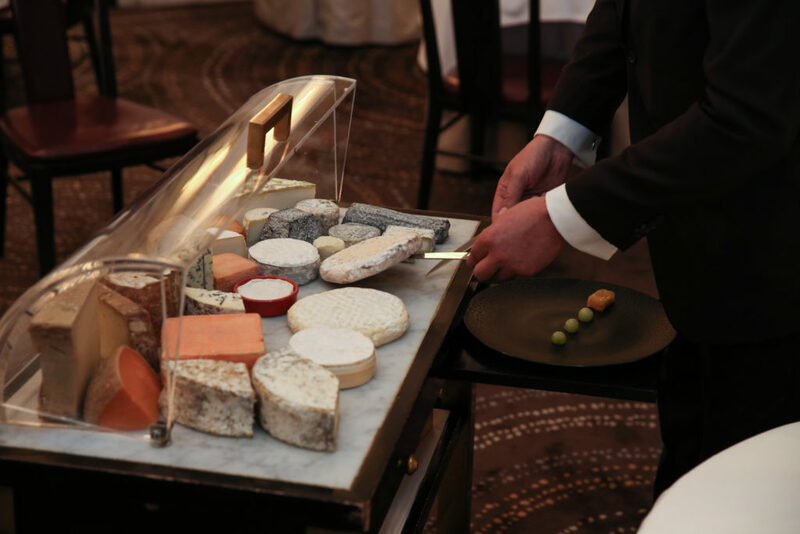 Cheese service typically happens on either side of the dessert course, when guards have been let down and the magic of the meal has loosened up the atmosphere around the table. 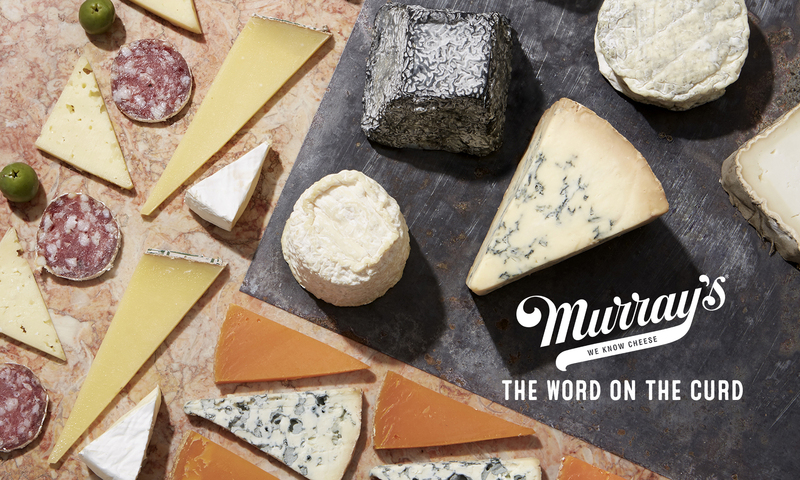 And that’s why it’s the perfect moment for the cheese cart to roll right up: it’s a moment of sharing, a more relaxed point in the evening, when conversation is at its fondest. When Pascal enjoys a cheese cart, what does he like to go for? Typically, he says, a diner will like to sample of small selection of cheeses, but he believes there’s nothing better than a single, stellar cheese and an equally excellent wine (or, increasingly, beer) to enjoy it with. Right now, that’s a Beaufort D’Alpage, a Kunik, or a 1924 Bleu. 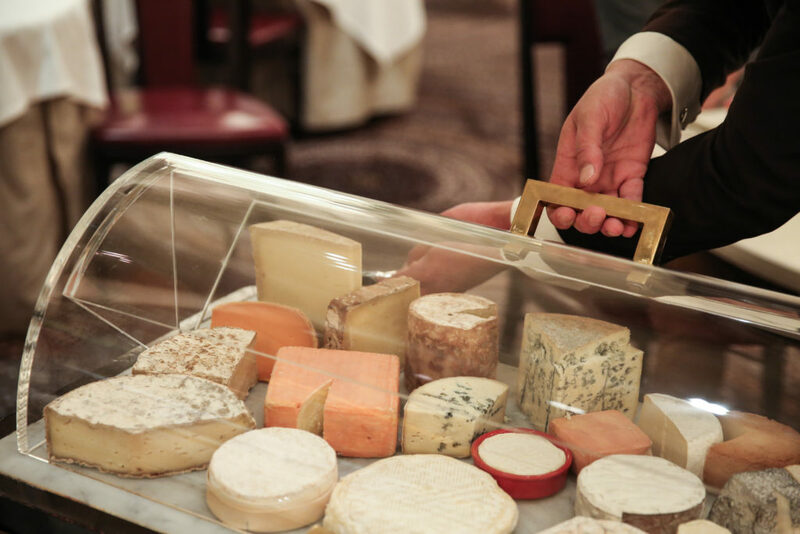 There are, of course, plenty of other wondrous French classics on his cart, including Epoisses, Sainte-Maure, and Comte. And while dining reservations at Daniel tend to fill up far in advance, you can swing by the bar or the lounge whenever you’d like—Pascal’s cart rolls by both sections every single night.